From nervousness and anxiety to the effects of caffeine, allergies, and long hours in the workplace, we're bombarded with emotional and physical stress every day. 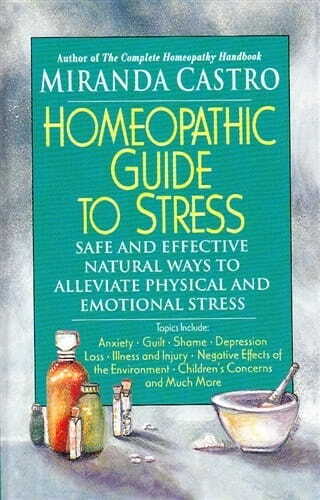 'Homeopathic Guide to Stress' presents inexpensive, easy-to-use ways to self-treat its symptoms and to handle its causes. Written in a clear and engaging style, it offers an introduction to homeopathy, with a focus on stress. For more than four dozen specific emotional states or physical causes of stress, Miranda Castro suggests several homeopathic treatments, with clear instructions on how to choose the most appropriate solution. These remedies help you cope with current or recent stressors, and also can be taken as preventive measures. A comprehensive section describes each remedy in detail and each entry gives a clear picture of who should use it, how and why. Castro also provides several case studies and practical advice on avoiding and dealing with stress. 'Homeopathic Guide to Stress' is an easy-to-understand guide to safely and effectively treating the effects of stress at any time of life, from infancy to old age.